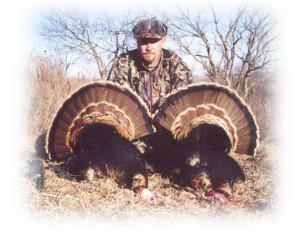 We offer semi-guided & fully guided Kansas turkey hunting adventures with a very good population of turkey available. Our hunting guides will have scouted the prime roosts ahead of time, and will have you pointed in the right direction for a great hunt. 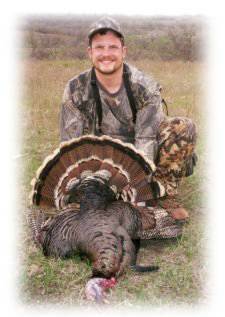 Kansas turkey hunting permits are available over the counter. 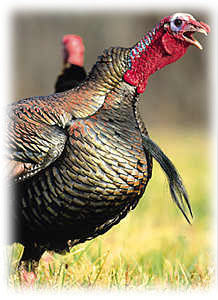 Our spring turkey hunting season runs from the middle of April to the middle of May.